Get the details and see the rest of the wedding photos here. 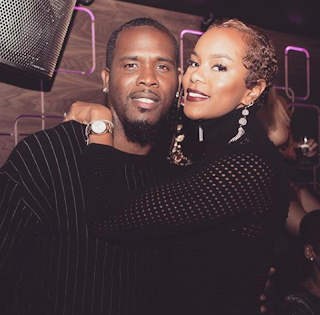 Fun Fact: Last year LeToya Luckett secretly married and divorced life coach Rob Hill Sr. [click here if you missed that]. I could've sworn all Sistas can only find love with the Pale man ...isnt that wats being promoted now.Every brotha has no love and are DBRs watevathefuck y'all be saying on RWS. she looks gorgeous in that wedding gown and he's handsome. I agree 1:36pm. 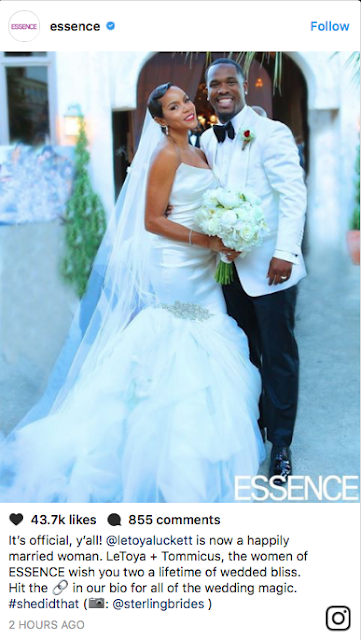 They look happy and she looks gorgeous on her wedding day! God bless them. congrats! looks knocked up with the way she standing.